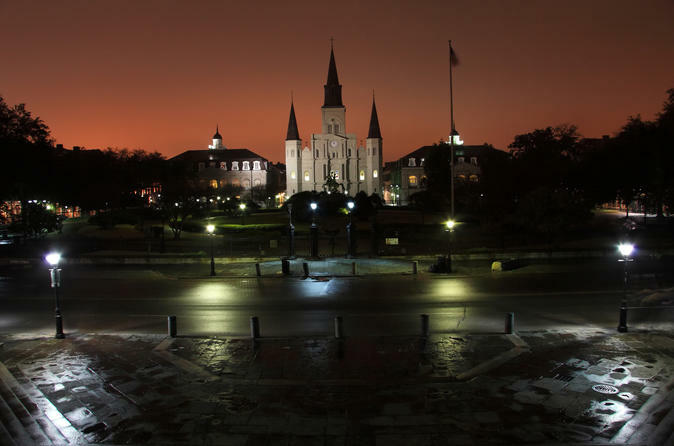 Escape into the spirited past as your theatrical ghost-hunter guide leads you on a 2-hour haunted history ghost tour – featured on the History Channel and recommended by the Travel Channel as the ‘number one tour in New Orleans’! Departing from Reverend Zombie’s Voodoo Shop in the evening, follow your guide through the legendary French Quarter, also known as the Vieux Carré, the oldest neighborhood in New Orleans. This eerie, chilling yet fun-filled adventure takes you to several sites of documented hauntings by the region’s ghosts and spirits. See the French Quarter residences in which unbelievable events took place and visit a haunted bar along the way. You’ll get the shivers amid the shadows as you descend into New Orleans’ grim and grisly past, and discover thrilling tales of supernatural activity – try to capture it in a photo if you dare!